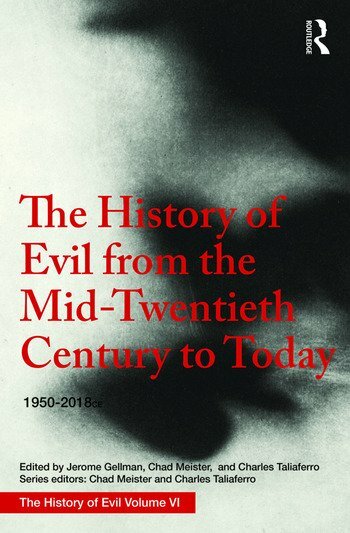 This sixth volume of The History of Evil charts the era 1950–2018, with topics arising after the atrocities of World War II, while also exploring issues that have emerged over the last few decades. It exhibits the flourishing of analytic philosophy of religion since the War, as well as the diversity of approaches to the topic of God and evil in this era. Comprising twenty-one chapters from a team of international contributors, this volume is divided into three parts, God and Evil, Humanity and Evil and On the Objectivity of Human Judgments of Evil. The chapters in this volume cover relevant topics such as the evidential argument from evil, skeptical theism, free will, theodicy, continental philosophy, religious pluralism, the science of evil, feminist theorizations, terrorism, pacifism, realism and relativism. Jerome Gellman is Professor of Philosophy Emeritus at Ben Gurion University of the Negev, Israel.